While Nikon wowed pro’s with the D3, it showed equal generosity towards enthusiasts with a model featuring many of the same capabilities. Together with the D3, Nikon’s D300 was the first to offer a 920,000-dot LCD screen, and its 51-point AF system, 100% viewfinder and superb build quality set a new standard for enthusiasts. Add to that excellent image quality, responsiveness and customisation options, and it’s easy to understand its popularity. While the camera has now been updated with the D300s, the model has held both its value and reputation exceedingly well, and will be remembered as one of the most coveted DSLRs of the decade. 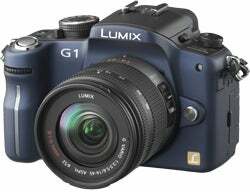 The growing Micro Four Thirds system is fast garnering interest among enthusiasts, and it all started with Panasonic’s G1. The model debuted a principle we had only been introduced to a few months earlier, with the reduction in body size compared to a DSLR achieved by removing the mirror integral to a DSLR’s construction. No mirror meant no optical viewfinder, so it’s just as well that the live-view finder Panasonic included was of the highest quality that we had ever seen on a camera. Since then the system has borne four further models, from both Panasonic and Olympus, and is complemented with an increasing range of optics and accessories. While the Exilim F1 offered fairly standard specifications for a superzoom, its 60fps burst mode and 1,200fps slow-motion video-recording capabilities took everyone by surprise. For the first time, consumers were able to take images that would ordinarily require specialist equipment and techniques. Sadly, the rest of the camera was a little underwhelming, and the relatively high price was only really justified by the headline technology. Casio did, however, respond with subsequent models which stripped back both the technology and price. 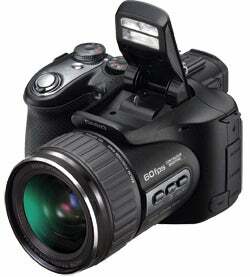 The FC100 offered 30fps still image capture and a 1,000fps movie option, all in the body of a point-and-shoot camera. Sigma’s DP-1 model generated huge interest as it was the first compact-sized camera to employ an APS-C sized chip, with many anticipating great things from it. Its first appearance was in prototype form in 2006, though it was another two years before it made it to market, and while the concept was met with approval by many, the camera’s awkward operation and other niggles meant that the camera itself wasn’t held in quite as high regard, and consequently its reviews were mixed. Nevertheless, the DP range continues to this day, with the DP-1 having recently been joined by two further models, though the emergence of the hybrid format has somewhat taken the edge off what the DP-1 could once claim to be unique. For years, compacts had combined both still and moving image capabilities, leading many to speculate that one day DSLRs would offer the same. 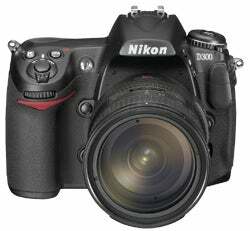 It was Nikon’s D90 which had the honour of presenting this to the world for the first time, with 1280 x 720p HD recording at 24fps. Crucially, the use of a larger sensor than those of consumer camcorders allowed control over depth of field, while compatibility with Nikkor optics meant that users could get creative in ways not possible before. 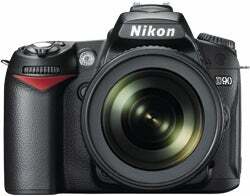 The D90 movie functionality is now fast becoming standard across other manufacturers and models. While professional 3D imaging technology has been around for many years, consumer photography, in both its film and digital guises, has always been a 2D affair. Up until now, that is. 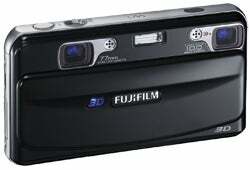 The Fujifilm 3D is the first consumer digital camera that can create 3D images and still fit in a coat pocket. It manages this feat by taking two images simultaneously using its twin 3x zoom lenses and 10MP sensors, and then combining them into a single stereoscopic image that can be viewed on the rear LCD or on an optional 3D digital frame without the need for special glasses. While the technology still has a way to go at consumer level, there’s no doubting its potential to push the envelope of digital imaging in the future.